Read the latest announcements about Beccles Rifle Club here. 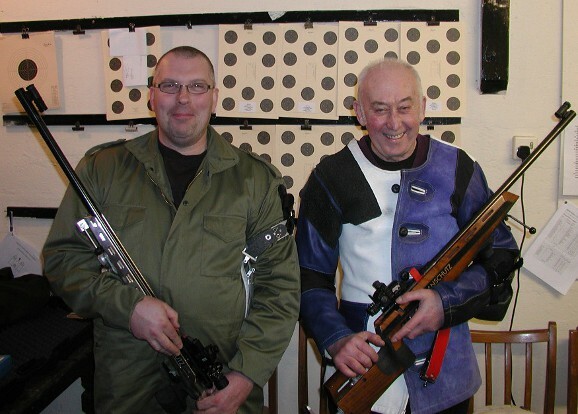 Two members of the club have recently achieved success in the County Rifle League. Chris (on left), a comparative newcomer to competitive target shooting, shot well throughout the season to collect runner up in Division14. Mike in his fifty eighth year of shooting, won division 7 proving that unlike most sports, shooting can be enjoyed well into retirement.